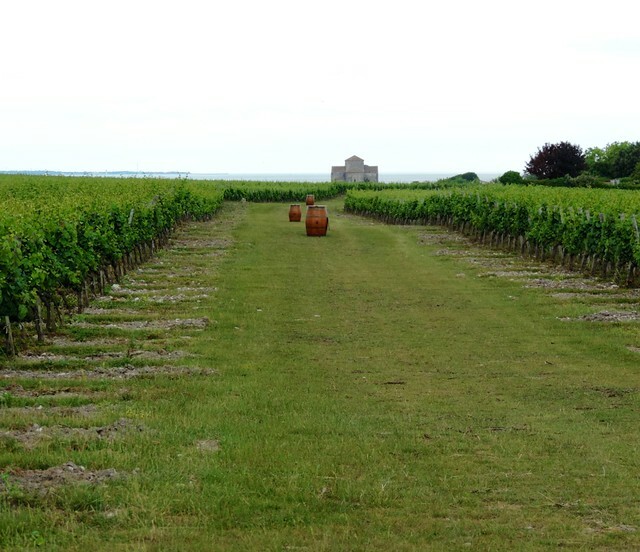 I think you can look at various elements in this photo and be stimulated to reflect on the “life of the spirit” – in the countryside, in the vines, in the barrels!, in the “place of worship”, in the sky, in the sea…..
ooh! And you can FEEL it in this music! So, how about you? What does “life of the spirit” mean to you? What stirs the invisible in you? Voici mon secret. Il est très simple: on ne voit bien qu’avec le cœur. L’essentiel est invisible pour les jeux. Here is my secret. It is very simple: It is only with the heart that one can see rightly; what is essential is invisible to the eye. I see brown robed monks working on the land. What they produced was a spiritual nectar for the human soul.